In March, we released a completely revamped version of the Classy API, which provides more power, flexibility, and customization for nonprofits and third-party developers. 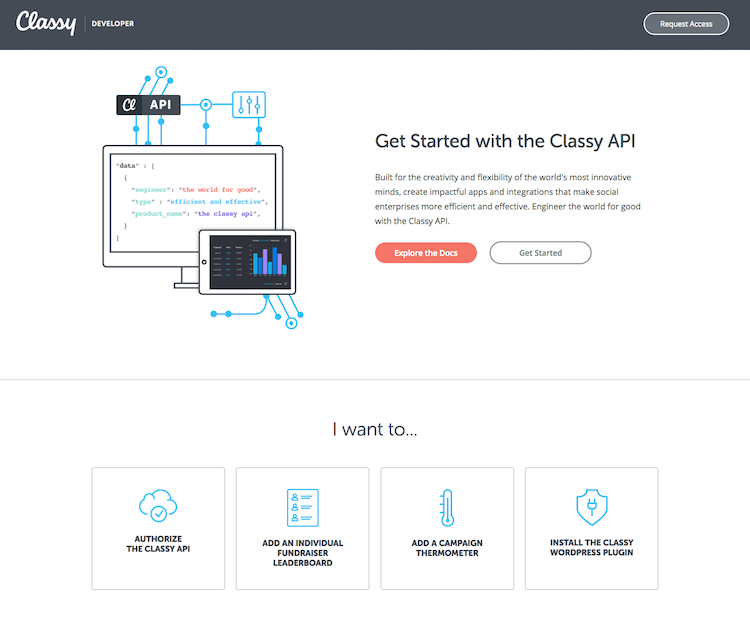 The new Classy API is also the foundation of all the ways Classy is pushing the envelop on nonprofit technology this year: the new Fundraising Suite, Classy for Salesforce Version 6, and Classy Pay. In August, we added more settings and customizations to the new Fundraising Suite. Big news: all Classy nonprofits now have access to the new Peer-to-Peer (Beta). We’ve been documenting its new design and features all month, so now you can dig in. To access the new Peer-to-Peer campaign, simply log in, navigate to the Fundraising Tab, and select “Peer-to-Peer (Beta)” from the Create New dropdown. If you want to see what nonprofits built on the platform so far, take a look at these three new peer-to-peer campaigns designed with Classy. 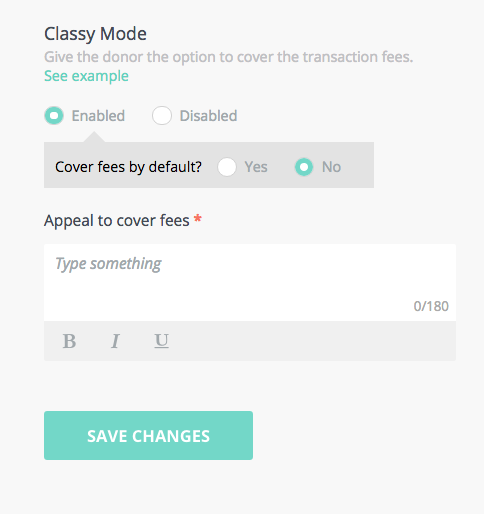 Fee-on-Top—now called Classy Mode—enables supporters to cover fees in addition to their donation amount. If you’ve created a new Crowdfunding or Peer-to-Peer campaign, you may have noticed that “Classy Mode” had a “Coming Soon” addendum. Now, the feature is fully enabled. 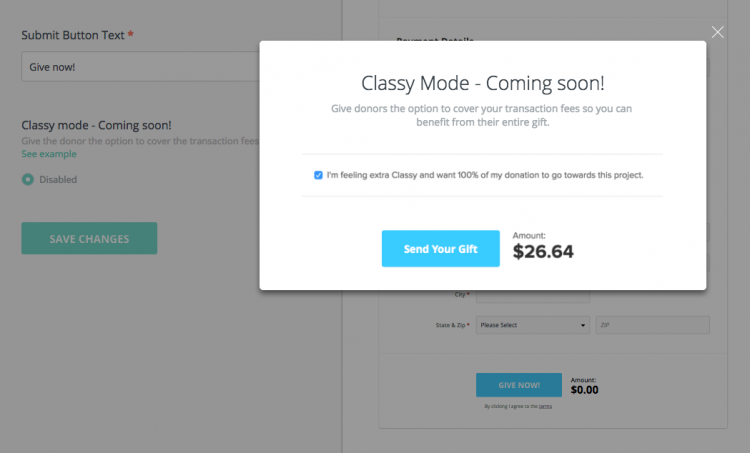 There’s also an additional option to select Classy Mode by default, so every donation includes fees. Of course, your supporter can always choose not to add the fee to their donation amount. Want to try out the new Classy Peer-to-Peer campaign? If you’re a Classy nonprofit, log in now. If you’re not a Classy user, get in touch for a free demo.